AADL's summer Pub Reading Series continues this Sunday at Conor O'Neills. 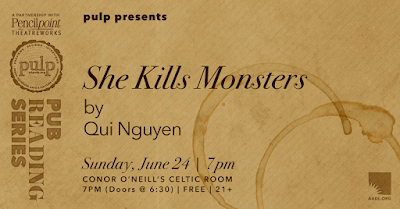 This month is a staged reading of Qui Nguyen's She Kills Monsters. The play tells the story of a woman who's grieving her little sister's death and happens upon her sister's D&D module. It's a fun play with a lot of 90's nostalgia and D&D geek culture references and most of the story takes place inside of a D&D game. In a departure from previous pub readings, there will be limited costumes and props. But be warned, the room where the pub reading series takes place can get pretty hot, so dress accordingly. 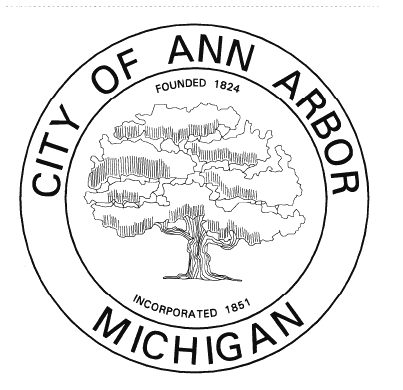 Tonight at 7:00 pm we've got a #a2council meeting. Here's the agenda. Starting things off is a thick 27 item Consent Agenda. Highlights include 6 street closures ranging from the 4th of July Parade to UM home football games. There are 4 public hearings, but I am only going to mention 3 of them. PH-2 is on the Fraternity/Sorority rezoning that has been at a few other meetings. PH-3 is on a change to water and sewer rates. PH-4 is on the site plan for 1101 South University. 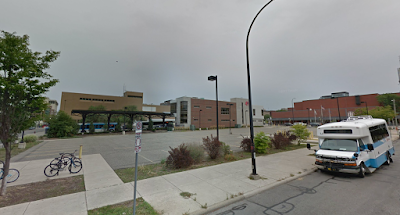 This is the site of the South University Espresso Royale and there is a proposal to build a 5 story building there. This seems like a pretty broad restriction on the use of public images and I wonder whether it would stand up in court. Also, I again wonder if this is really needed. Gentle reader, you that we hear at Damn Arbor HQ love comics. 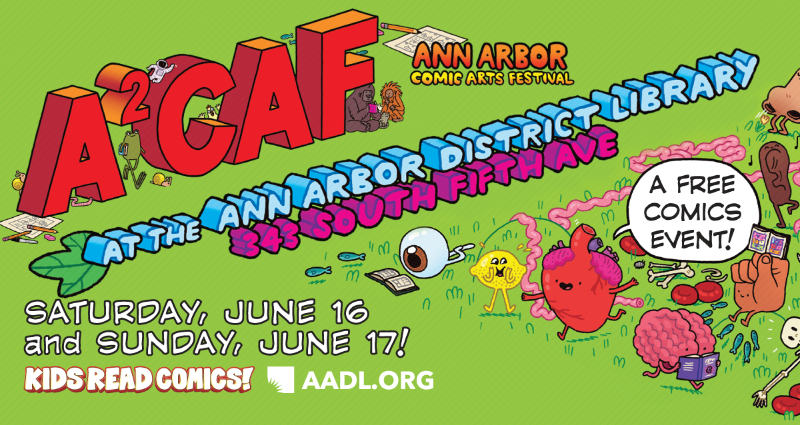 As such, we are very excited for the Comic Arts Festival at the Downtown Branch of the AADL this Saturday and Sunday. The event kicks off at 11 am tomorrow with "Iron Cartoonist" think Iron Chef but with comic artists competing in various drawing challenges. There are other great events including a screen printing workshop and a Drawbstacle Course. Of course, there will be tons of artists and signings.